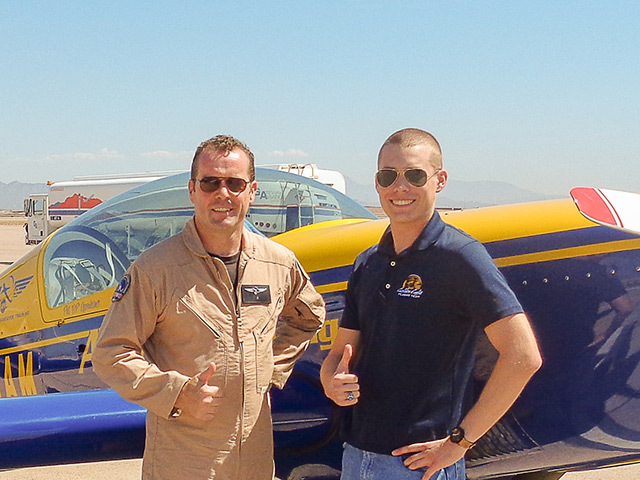 Each year, APS offers a scholarship for a Professional Pilot Upset Training program to deserving pilots just embarking on their aviation careers. APS has successfully trained 1000’s of professional pilots in fully comprehensive upset recovery skill development, more than any other training organization. APS offers comprehensive LOC-I solutions with industry-leading web-based, on-aircraft, and full-flight simulator upset recovery and prevention training programs. In addition to all flight training being in full compliance with the internationally-recognized Airplane Upset Recovery Training Aid, APS is the only Part 141 Flight School currently certified in the delivery of all of upset recovery, stall / spin and instrument recovery training courses worldwide. Upset Prevention & Recovery Training (UPRT) is dedicated pilot training developed specifically to mitigate the risk of Loss of Control In-flight (LOC-I), aviation’s biggest threat to air safety. UPRT trains pilots to develop the often counter-intuitive skills necessary to recognize and prevent or recover from an unexpected airplane upset. In addition to helping pilots develop these life-saving skills, UPRT also helps pilots improve general manual handling skills and develop mental strength. Upset Prevention and Recovery Training saves lives, and it also looks great on a resume. Pilots with Upset Prevention and Recovery Training can show not only that they are specially trained and prepared for an unexpected upset situation, but also that they are dedicated to safety as well as excellence in flying.